Dave Holcombe brings years of experience and a practical, results-oriented approach to all labor and employment matters facing his clients. He applies his deep knowledge of the nuances of the employer/employee relationship while working to preserve and enhance internal and external relationships for his clients. 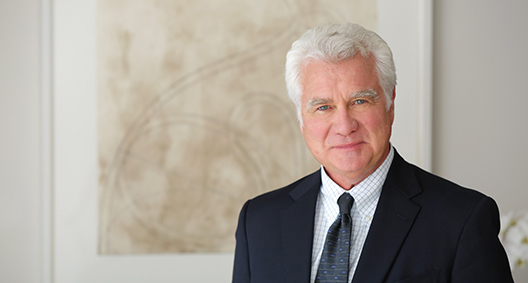 With a background in employment litigation, Dave focuses his practice in the areas of strategic planning, workplace reductions, performance management, collective bargaining and other controversy resolution efforts. Dave is partner-in-charge of BakerHostetler's Cincinnati office and firmwide legal services partner. His experience in these leadership roles has further informed Dave's judgment as a lawyer, deepening his awareness of the challenges his clients face on a daily basis. In addition, Dave's familiarity with our lawyers makes him uniquely qualified to enlist the appropriate resources to efficiently and productively address any client concern. Served as lead employment counsel in matter regarding $200 million acquisition of nine television stations in five different markets, counseling on collective bargaining and on modification of terms and conditions of employment occasioned by the acquisition. As a result of the guidance provided by the team, this acquisition was accomplished without a single court claim or administrative agency action. Worked closely with media entity’s senior in-house legal team to effectively address employment and labor concerns related to the decision to close a daily newspaper in a major metropolitan market. Collaborated with attorneys in tax, employee benefits and labor areas to address all legal issues associated with the Worker Adjustment and Retraining Notification Act (WARN Act), collective bargaining agreement compliance, employee relations concerns, state unemployment compensation matters, and pension and employee welfare benefit plan administration. Served as chief spokesperson in negotiations between major television network affiliate stations and multiple unions of technicians, directors and on-air employees. Extensive negotiations involved complex and serious issues associated with new and evolving technology and work assignments related to technological advancements. Assisted client in reaching collective bargaining agreements with each of the unions involved. Represented global aerospace corporation and obtained summary judgment in favor of client in a false claims case before the U.S. District Court, Southern District of Ohio. Skillfully handles high-level, C-suite departures for clients, maintaining awareness of legal and organizational issues at play during such departures and acknowledging sensitivities involved, including institutional memory and established relationships throughout an organization. Manages the process and advises clients on handling departures in a manner that is beneficial to all parties involved. Managed departure of senior corporate officer in a situation that required careful attention to the role and institutional memory of the involved individual. As lead attorney, worked on multidisciplinary project associated with cost-reduction measure taken by a media company as a result of the economic recession and consequent business downturn. Working closely with human resources personnel in newspaper and broadcasting divisions, helped the company achieve its objectives with respect to unpaid furloughs, wage reductions, and freezing or suspension of benefit plans. Guided company to partake in major restructuring without any court claims or administrative agency charges being filed. Obtained dismissal of age discrimination suit brought by Equal Employment Opportunity Commission against a large insurance company client. Successfully defended multinational media client in Americans with Disabilities Act claim that was tried to jury verdict.